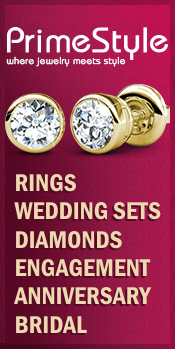 ‘Tis the season to celebrate, and a wedding at holiday time is double the joy! 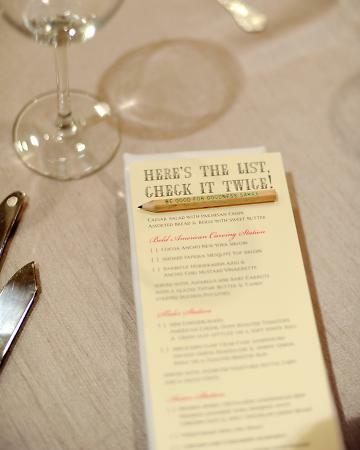 Plus, a holiday-time wedding may have the advantage of having family and friends already at home, ready to party! 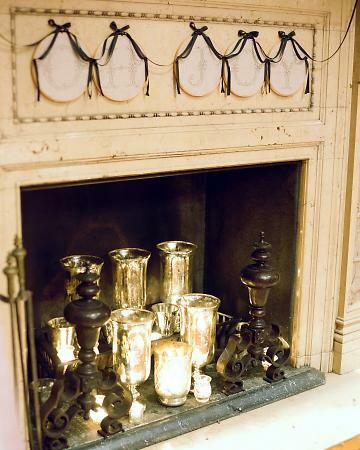 Keep the holiday cheer going by decorating your wedding venue in traditional holiday style. Here are some beautiful ideas! 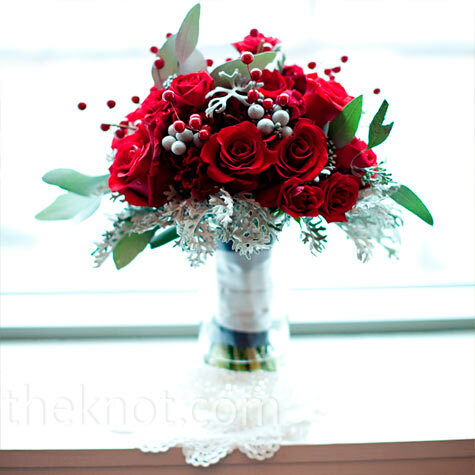 The Knot: Rose and berry bouquet. 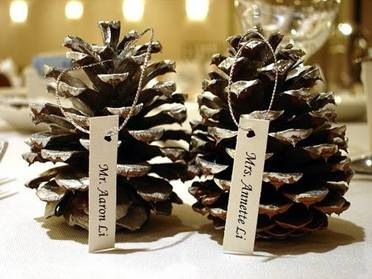 Wishpot Wedding Blog: Adorable pine cone place cards! 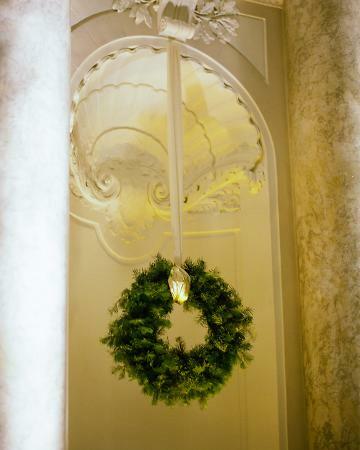 Martha Stewart Weddings: A wreath adds a festive, holiday feeling! 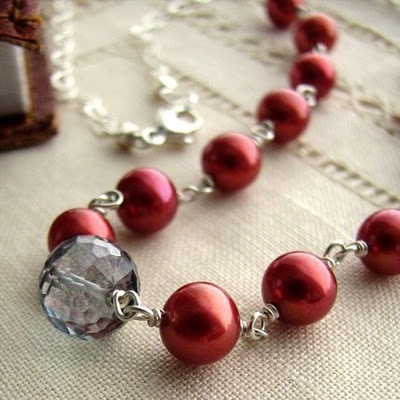 I Do Inspiration: This necklace by etsy seller msbelle is the perfect shade of red and they even look like little ornaments or cranberries! A perfect gift for yourself or your bridemaids! 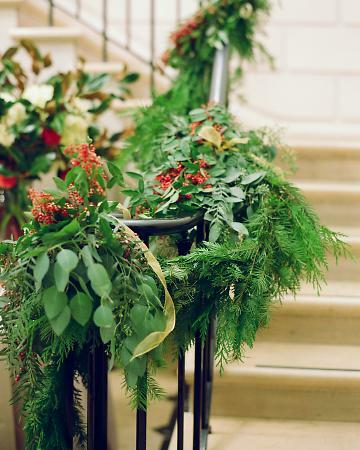 Martha Stewart Weddings: Garlands of cedar, pine, magnolia blossoms, pepperberries, seeded eucalyptus, princess pine, and balsam wrapped around the staircase’s banister. 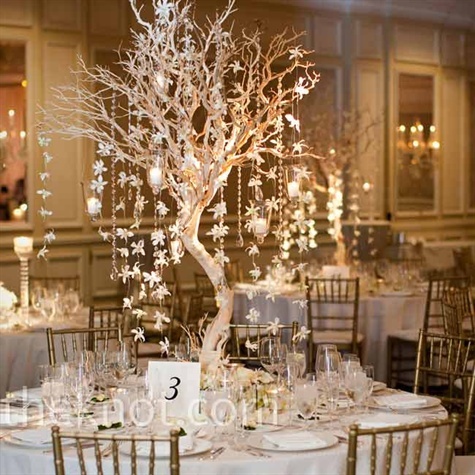 The Knot: Votive candles and garlands of orchids and crystals hung down from tall Manzanita trees, which decorated some of the tables. 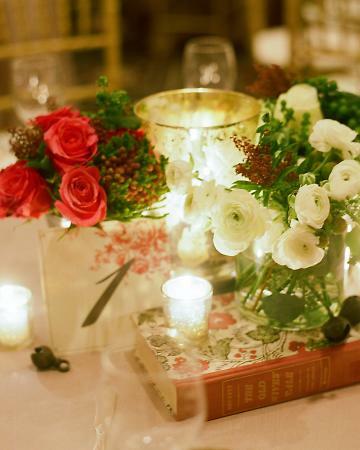 Martha Stewart Weddings: These centerpieces are accented with vintage sleigh bells and old hardcover books in shades of green and burgundy. 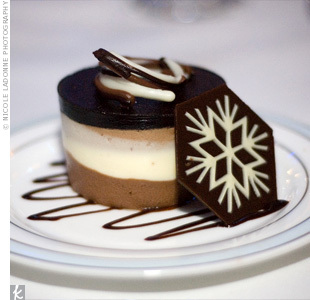 The Knot: Yummy dessert of three-layered chocolate mousse with a chocolate snowflake. 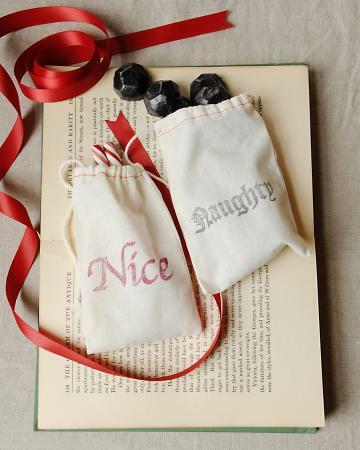 Martha Stewart Weddings: Naughty bags hold chocolate “coal”; the nice bags are filled with peppermint sticks and peppermint-chocolate bark.